Hawaiian Volcano Observatory confirms the eruption in Leilani continues. Two new fissures have emerged south of Malama Street emitting lava and gas. A community meeting will be held tonight at Pāhoa High School Cafeteria at 5:30 p.m.
Hawaiian Volcano Observatory confirms no new outbreaks have emerged and the fissures continue to emit hazardous fumes in Leilani Subdivision at this time. It is confirmed that at this time, 5 homes have been destroyed. Volcano Watch: Is Mauna Loa due to erupt soon? March 25 is the 30th anniversary of the most recent eruption of Mauna Loa. 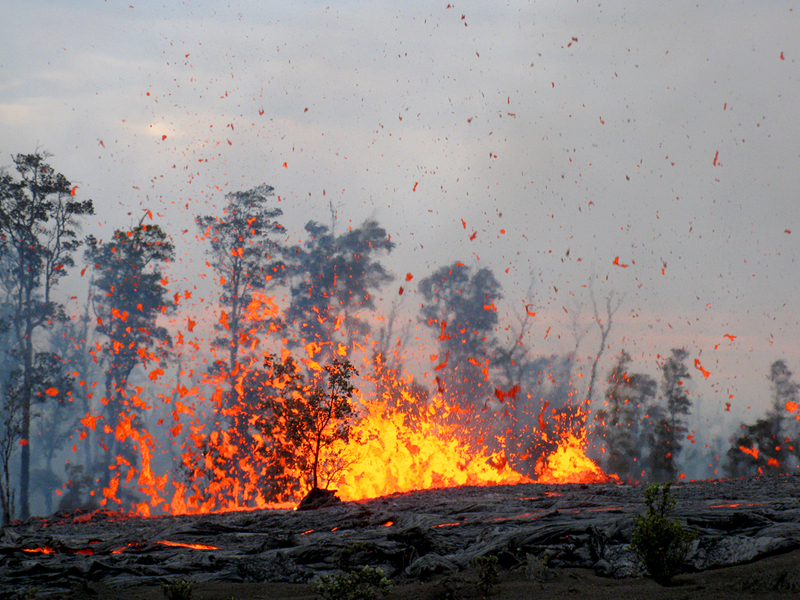 Mauna Loa has erupted 33 times since 1843, an average rate of 1 eruption every 5 years. 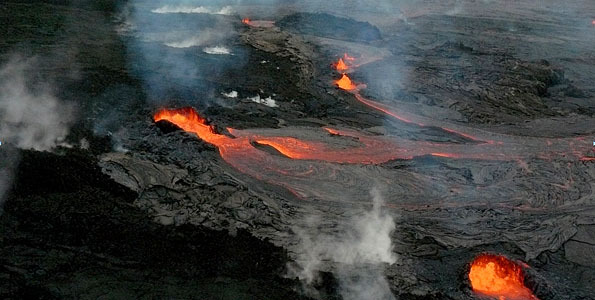 March 5, 2013, marked the 2nd anniversary of the start of the Kamoamoa fissure eruption on Kilauea Volcano’s East Rift Zone. This week’s focus is on the 1984 eruption of Mauna Loa. 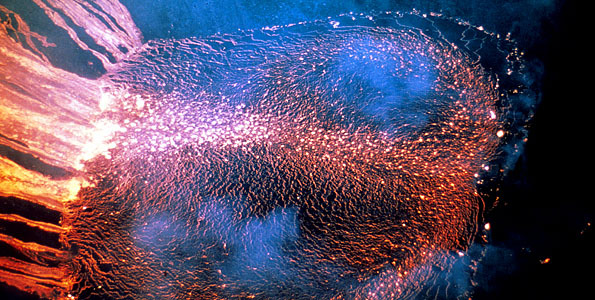 The eruption began at about 1:30 a.m., HST, on March 25, 1984, after only a few hours of precursory seismic activity. Who would have thought that a little eruption in a small pit crater would be the seed from which a great oak of research grew at Kilauea?